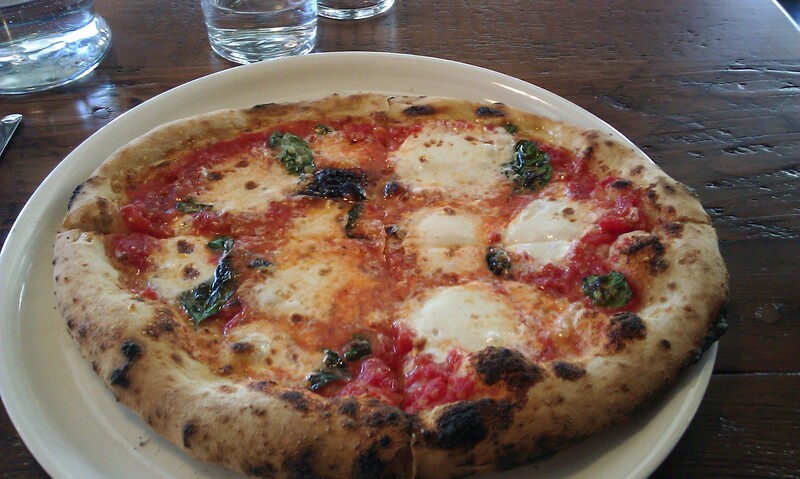 Authentic Neapolitan Pizza is widely regarded as the first, and to many the best, form of pizza. Alas, Reno has been without an authentic Neapolitan pizzeria, that is until Campo opened its doors a couple months ago. Campo is not a pizzeria per se, it is actually an upscale rustic Italian-themed restaurant, however the focal point of its menu is, thankfully, Neapolitan Pizza. Campo was opened by Chef Mark Estes who has an excellent reputation in the Reno/Tahoe area and who has also achieved some national publicity and prominence through appearances on numerous TV cooking shows. Under Estes guidance, Campo has made a determined effort to make its Pizzas as authentic to the Neapolitan ideal as possible. To that end they went so far as to import a Cirigliano Forni wood-burning brick pizza oven from Italy and send staff to Italy to be trained in the strict pizza-making traditions of the Associazione Vera Pizza Napoletana (VPN). If you are looking for VPN pizza in Reno, as it stands, this is your only option. In keeping with VPN standards, Campo’s pizzas are about 12″ in diameter and have a very thin crust. 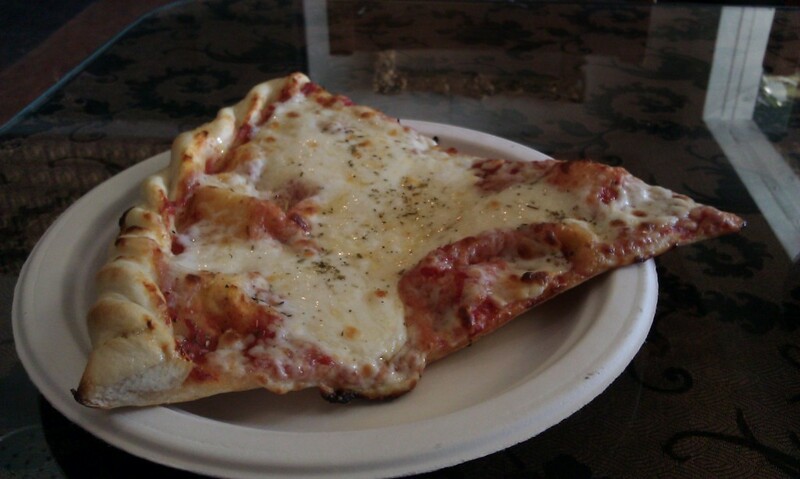 Like most VPN pizza’s, Campo’s come with a relatively sparse amount of sauce and cheese. The end crust is about 3/4 of an inch high and is designed be airy and chewy. Because these pizza’s are thin and light and only a foot wide, a single person can polish off an entire pie if they are hungry. As it stands Campo typically has five pizzas on the menu and usually has a “pizza of the day” as well. I’ve had two of the pizzas, the VPN Margaita and the Campo, multiple times. The VPN Margarita is Campo’s version of what is basically the benchmark Neapolitan pizza: tomato sauce, “house mozzaralla”, basil, and extra virgin olive oil. The mozzarella does not appear to be true “mozzarella di bufala”, the kind made from Buffalo’s milk that is often found on pizza’s in Italy, but it is good none the less. Campo’s signature pizza, aptly titled the “Campo”, comes with house-made sausage, salami and pancetta. When tasting the meats on this pizza, I was immediately stuck by how tasty, distinctive and vibrant they are compared to the meats you find on most pizzas. If you like meat on your pizza, you owe it to yourself to get this pizza and taste the difference that fresh, house-made meats can make on a pizza. 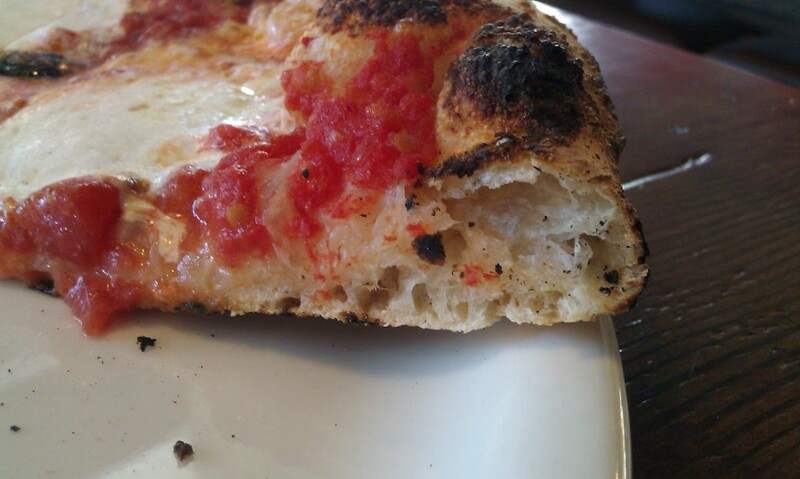 How does Campo’s Neapolitan pizza compare to other top-tier Neapolitan pizzas in the US, such as Tony’s Napoletana in San Francisco? 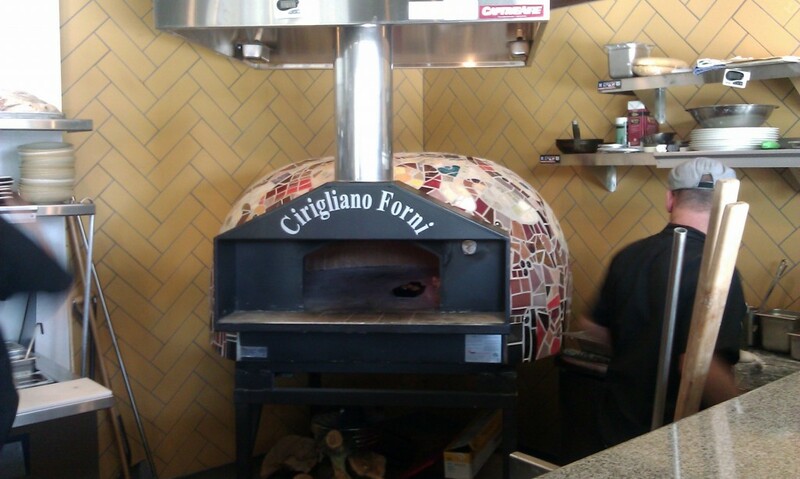 In my opinion, it’s very good but not yet as good as the top tier Neapolitan pizzerias. Campo’s pies have excellent bubble structure and good charring but are, on average, a bit dry and crisp compared to the moist, soft and chewy, Neapolitan ideal. I’ve had one pie at Campo that came very close to this ideal, but to get into the top tier Campo is going to have to consistently deliver a moist and soft end crust on its pies. The good news is that most of this is probably due to Campo’s pizzaiolo’s being inexperienced and it should hopefully be corrected over time. All that said, the pizza’s are still very good and are the best example of a true Neapolitan Pizza available in Reno. In addition to Pizzas, Campo also has an excellent selection of foodie-quality rustic-Italian themed entrees and pasta dishes. Since this is a pizza blog, I won’t comment on these other dishes except to say that the quality of them is very high and they will likely satisfy even the most discerning foodie in your group. This leads me to what I regard as one of the best features of Campo: If you are like me, you would prefer to eat a great pizza instead of suffering through a high-end foodie meal. Unfortunately there are certain occasions (date nights, anniversaries, important business meetings, etc.) when inviting everyone to your favorite hole-in-the-wall pizzeria may not exactly be appropriate. The beauty of Campo is that it allows you to fool your date/wife/friends/business associates into thinking you are taking them to a fine dining experience when in fact you are secretly just taking them to a pizzeria. Sure, they will order the “braised pork shank” or “roasted whole fish” or whatever it is that foodies eat, but you will still get to chow down on a pizza and since the pizza is made by a high-end chef at a high-end restaurant no one will look askance at you as you wolf down you pie. 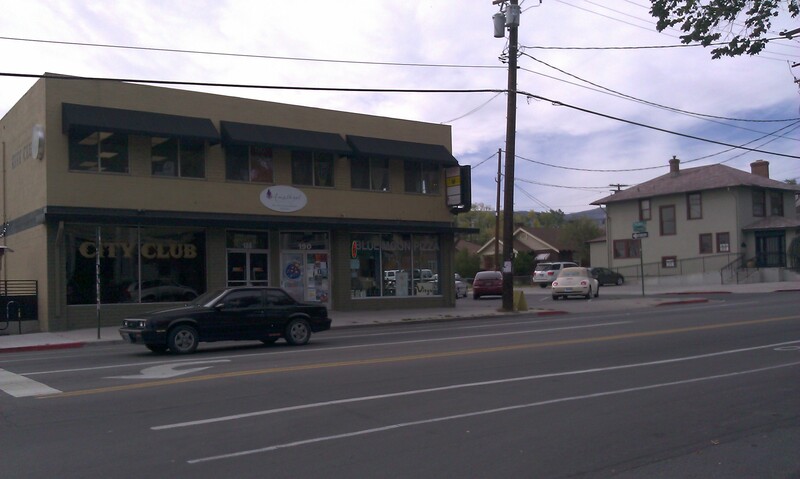 As to the restaurant itself, it is located in downtown Reno right on the Truckee river. It’s across the street from the big movie theater complex, making it a very good “dinner and movie” date-night destination. While Campo is a high-end full service sit down restaurant, it has a “hip casual” vibe to it, so it’s quite lively and not stuffy at all. There’s also a big patio overlooking the river that will probably be great for eating your pies “al fresco” once summer rolls around. Parking is available either on the street or at the parking garages nearby. From a value perspective, the pizza’s at Campo are very reasonably priced for a high-end restaurant with a regionally acclaimed chef at the helm. The Margarita clocks in at $13 while the Campo is only $2 more @ $15 despite having some high quality meats on it. Granted, for $13 you are getting a pizza that one hungry person could probably polish off, but when you consider the investment that has gone into the VPN certification as well as the high-end nature of the overall menu, decor and staff, it’s a relative bargain. For example, I recently had a similarly sized Neapolitan pizza in a high-end Italian place in LA for $23 and it wasn’t nearly as good as Campo’s pie. With a great space, highly regarded chef, and a true commitment to authentic VPN Neapolitan pizza making, Campo is an excellent and welcome addition to the Reno Pizza scene. If you are in Reno and want a very good and authentic Neapolitan pie, this is your best bet by far. Located a couple blocks from heart of downtown’s casino district, Pie Face Pizza Company sells thin crust, American style pizza. While their pizza is thin enough to qualify as New York style pizza, Pie Face has two traits that mark it as more of a “American Style” pizza: 1. They use more cheese than the average New York pizza. 2. Their pizzas have a unique “braided” end crust. 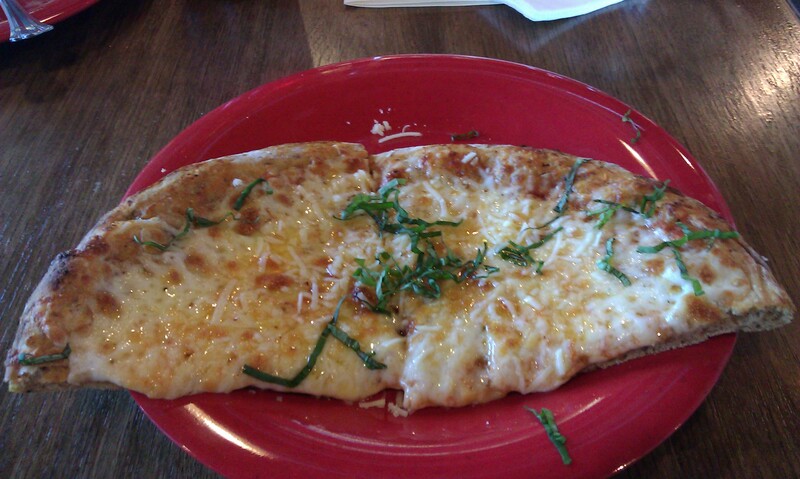 A cheese slice with the braided crust from Pie Face Pizza Co. While the braided end crust is interesting, one big drawback is that the braiding appears to the compress the dough and it results in a rather dense end crust (see picture below). 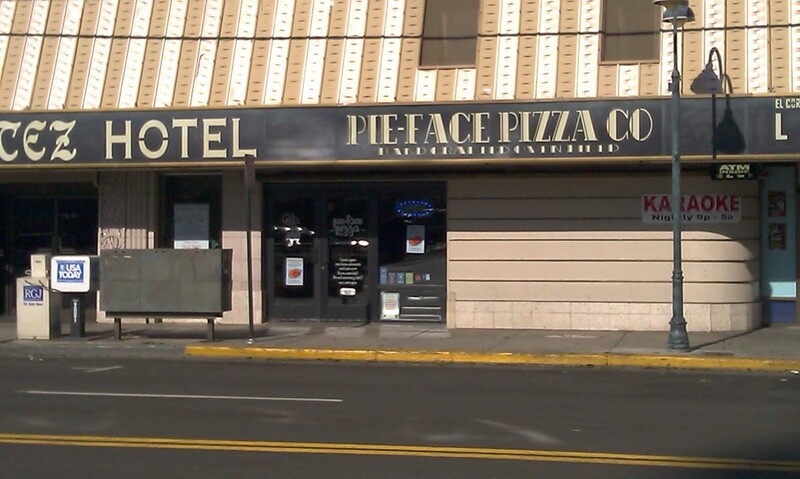 Pie face is located right next to the entrance to the low rent El Cortez Hotel on the northeast corner of 2nd and N. Arlington streets. It’s actually kind of tough to find because their sign blends in with that of the Hotel. The interior looks nicer and more inviting than the exterior and has about 30 seats. There’s even a small hang-out couch/chairs up front with a big screen TV if you want to veg out a bit while scarfing down your slice. The service is fast casual where you order at the counter and then they bring your pie/slice out to you. The people that work there are friendly and low key. From a value perspective, Pie face’s pricing is very close to Blue Moon: $3.50 for a plain slice and $19 for a large (although their large is a full 20″). Pie Face reminds me a bit of Blue Moon, in that the pizza is better than what you will get from Domino’s or Pizza Hut, but nothing I would go out of my way to consume. In both cases, what prevents the pizza from reaching the next level is the crust. In Pie Face’s case, the crust is quite thin, but it’s relatively dense and lacks chewyness and crispness. I wish they would replace the braided crust with something lighter and more airy. Pie Face apparently does a good amount of late night business (they stay open very late on Fri/Sat) that attracts a lot of people looking for a quick slice after a night of reveling downtown and in that regard I think the pizza probably hits the spot nicely. If you are out and about downtown and craving a thin crust slice with ample cheese in a laid back environment, Pie Face is a good choice. Name: Pie Face Pizza Co. 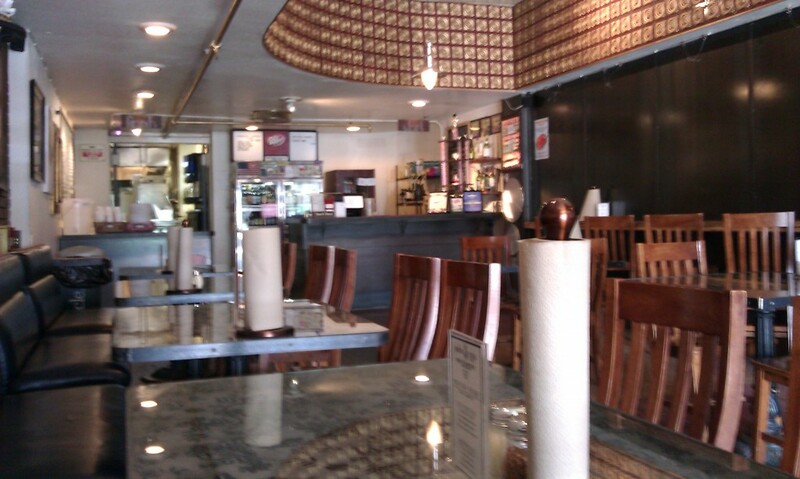 Address: 239 W. 2nd St.
I’ve been to Blue Moon Gourmet Pizza a few times for lunch. Each time I’ve had the lunch special (1 slice, a salad, and a drink for $7.50) plus an extra slice. I usually have just a plain slice and a pepperoni slice as I am trying to use these “benchmark pizzas” as a basis for comparison to other places in town. Truth be told, such “benchmarking” really isn’t fair to Blue Moon because their focus isn’t so much on the core pizza so much as it is on their gourmet “Blue Moon Style” topping combos, such as Yale’s Thai (Hoisin sauce, cheese, chicken, green onions, peanuts and shredded carrots) and Luna Azul (Refried beans, salsa, shredded chicken, olives, jalapenos, cheese, and lettuce). I have to give them props for their creativity and variety! As to the core components of their pizza (crust, sauce, cheese), let me state up front that I’ve only had their slices and slices are usually a poor way to judge a pizza because they almost always are from pizzas made some time ago and then reheated. Reheating slices tends to harden the bottom and you really can’t replicate the “fresh out of the oven” taste no matter what you do. All that said, Blue Moon is above average, but not great, thin crust pizza. The pizzas are made from white flour and cooked in a standard gas pizza oven. The dough doesn’t appear to have a sourdough base as it lacks the chewyness you’d expect from sourdough. The crust is thin and not very pronounced (which can be good or bad depending on what you prefer). The sauce is on the sweet side for my taste, but not terribly remarkable one way or the other. Same thing goes for the cheese. I do like the oregano sprinkled on the slices though but had a hard time tasting it. 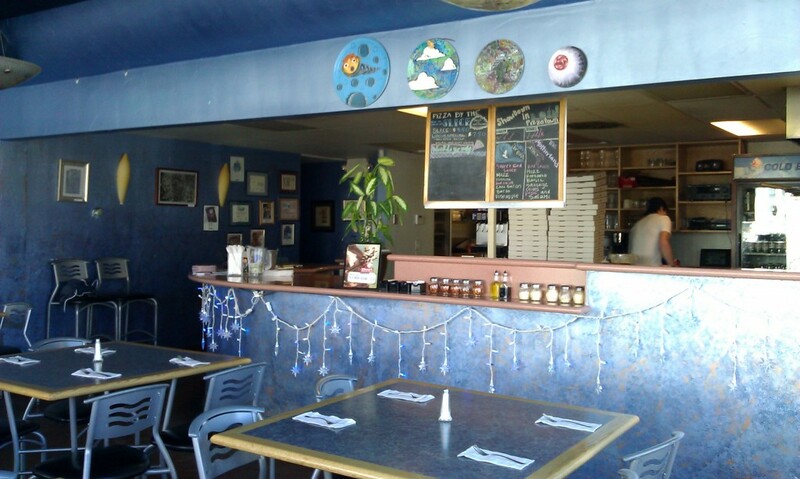 The restaurant is a classic casual sit down pizza restaurant. There are about 25-30 seats so it can accommodate groups without much of a problem and it is a clean, well lit space. There is no outdoor seating. You order at the counter, but if you are eating in, they bring the food to your table. Service is friendly and low key. There are some salads and calzones and menu, but this is clearly a pizza joint first and foremost. They do take-out but not delivery. As to location, they are located on California Avenue very close to the southern side of downtown Reno making this an easy walk for lunch from courthouses or office buildings there. Overall, I’d have to say that Blue Moon gets good marks for service, creativity and effort. The core pizza is above average and better than most chains, but not terribly distinctive which isn’t surprising given their focus on the Blue Moon Style gourmet topping combos. 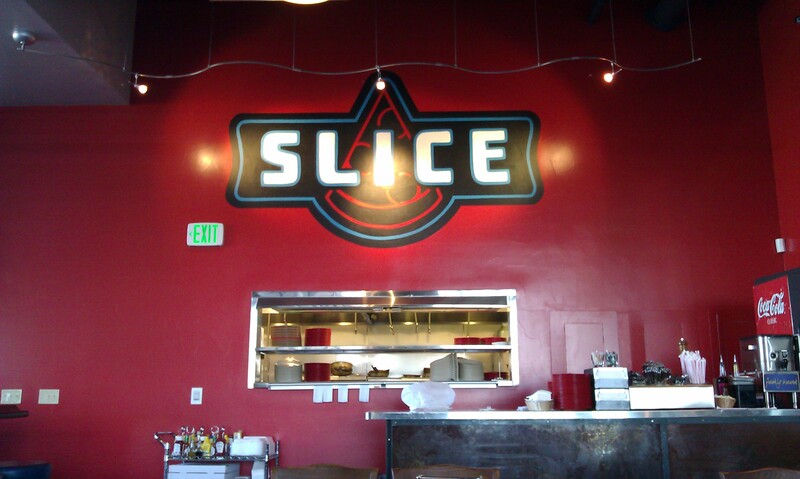 If you happen to be near Reno Aces’ stadium and are hankering for some pizza, look no further than across the street to Slice of the Peak. Brought to you by the same folks behind the Silver Peak Restaurant & Brewery, Slice of the Peak serves of a unique whole barley flour pizza and plenty of Silver Peak’s micro-brewed beers. Mmmm, pizza and beer, what could be better? The most distinctive aspect of Slice of Peak’s pies are that they are made from barley flour using the same kind of barley they use in their beers. 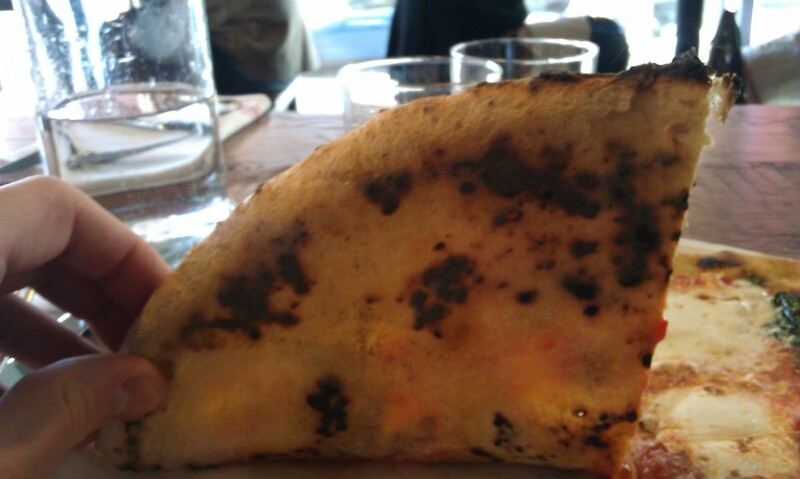 I must admit I have never had a barley flour-based pizza before Slice of the Peak. It has a distinctive, but not overwhelming barley taste. 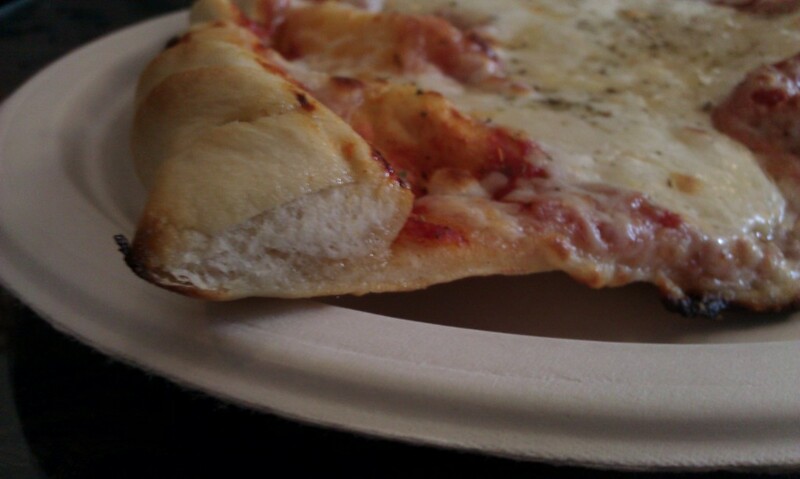 The pizza dough also seems a bit softer and more malleable then white flour. 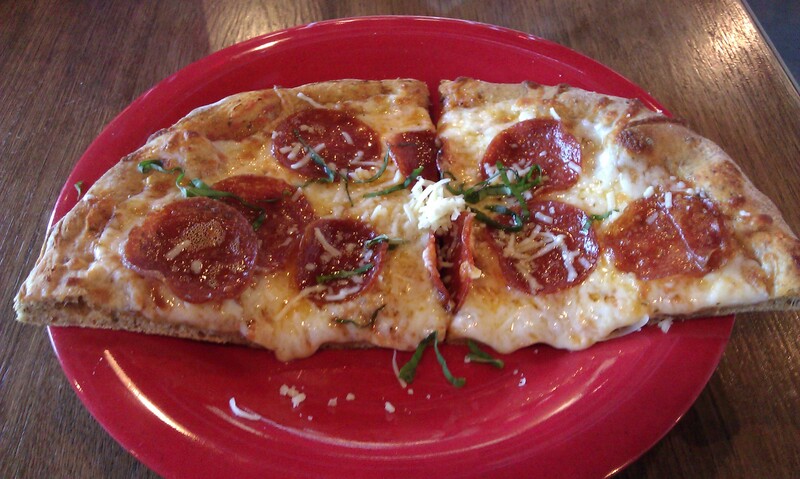 ... or perhaps you prefer a pepperoni pizza ? The pizza is cooked in a classic gas fired pizza oven. I wouldn’t call it thin crust pizza in the classic Neapolitan or New York tradition, it’s more of a straight American pizza. The combination of the gas fired oven and the whole wheat seems to impart a little less texture and carbon on the crust and bottom of the pizza than I’d like, but I found the overall package quite enjoyable. Slice of the Peak is a Fast Casual restaurant. You order at the counter, sit down, and they will bring the food out. The interior of the restaurant is bright and lively. They have plenty of space with a large main room including a bar, as well as a side room and outdoor space. There is a room with pool and arcade games for hanging out and there is ample outdoor patio space to enjoy your pizza and beer “al fresco” when the weather permits. The menu includes some key non-pizza items including fries, wings, and onion rings as well as several salads and sandwiches which means between that and the beer, a non-pizza loving companion can be quite happy here. 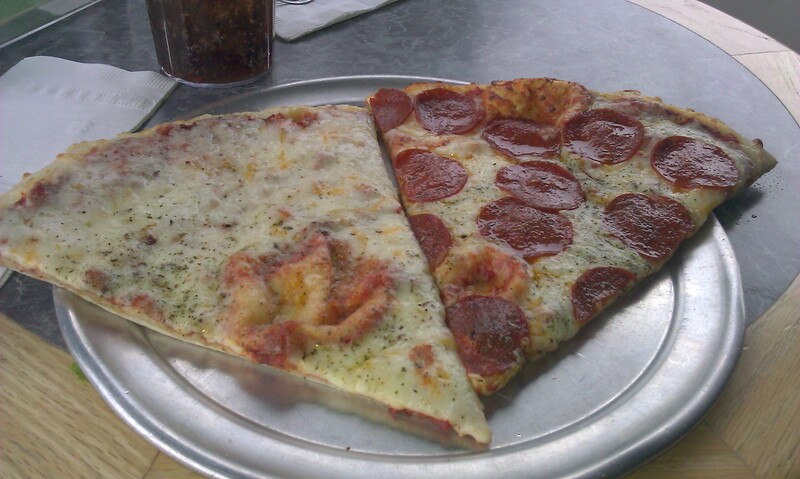 Prices are about average and slices are a pretty good deal @ $2.75 each for what amounts to two smaller slices. Service has been good when I’ve been there, but I haven’t been there on a game day when I expect it can get kind of hectic. Overall, I’d say that Slice of the Peak is definitely worth checking out, especially if you are going to an Aces game and looking for somewhere casual to eat either before or after the game. Their barley flour pizza is unique and tasty. I have found that it pairs nicely with many of Silver Peak’s micro-brews (I am partial to the Sierra Amber) but that might just be the beer talking.